For better or worse, there’s a lot to see in the US of A. Some of the best stuff is well off the beaten path, known only to the few willing to invest the time to get there. Other sights are... less so. But even in the world of heavily visited tourist attractions, there exist a few bright spots that -- whether for the history, the marvel of engineering (either human or nature! 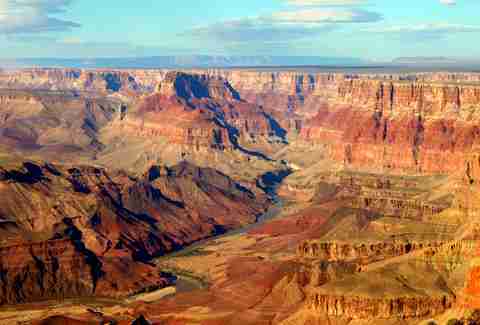 ), or simply the awe-inspiring beauty -- are well worth braving the crowds to see with your own eyes. These are 13 of them. 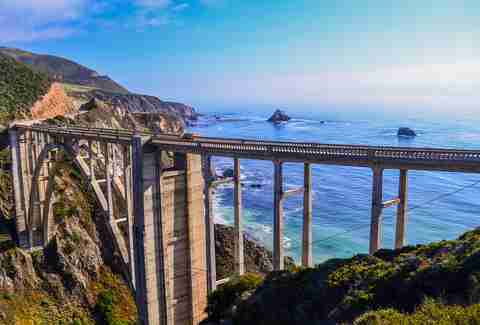 Why you should be one of them: There are people who would justify Big Sur’s place on this list based on the drive there alone. But even after all the dramatic cliff views along the winding Highway 1, arriving in Big Sur still comes as a bit of a shock. 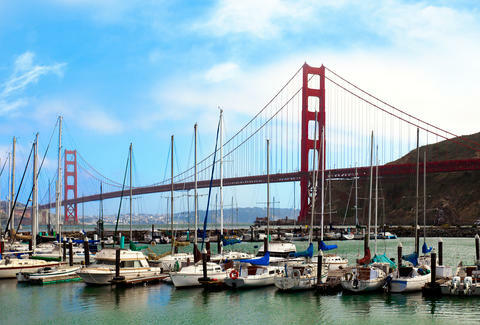 On one side, you’re flanked by mountains and redwood forests with miles upon miles of hiking trails; on the other, there’s craggy beaches and elevated views that make the ocean look bigger than you’ve ever seen it before. Catch a sunset on Pfeiffer Beach, and you’ll absolutely understand the hype about this place. 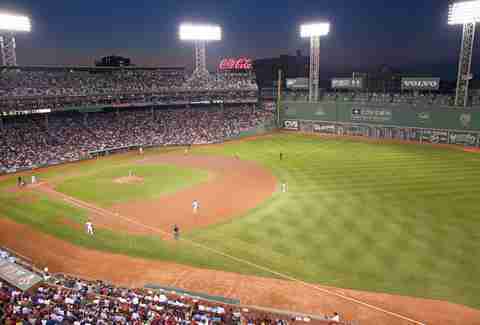 Why you should be one of them: For a city that’s as proud of every square inch of its limits as it is, Fenway Park probably still ranks at the top of most Bostonian’s “favorite place on earth” list. It’s a cathedral of Americana where even people who could care less about baseball find something to marvel at. There’s a reason they give tours even when it’s not baseball season. 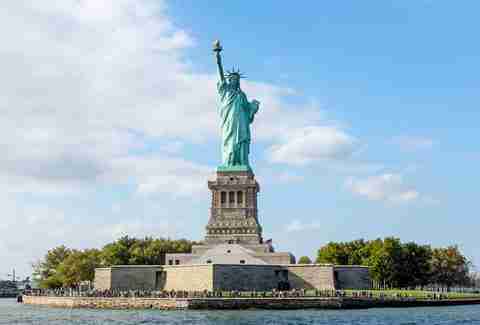 Why you should be one of them: Most native New Yorkers will probably tell you the closest they’ve come to Lady Liberty is looking out at it from Battery Park. But there’s something about getting out on the harbor and watching that Frenchwoman grow taller as she eventually looms over you that makes it special. It’s a uniquely positive shared experience that speaks as much to global history as it does to American, and it's easily one of the most serene things you can do in the loudest, biggest city in the country. 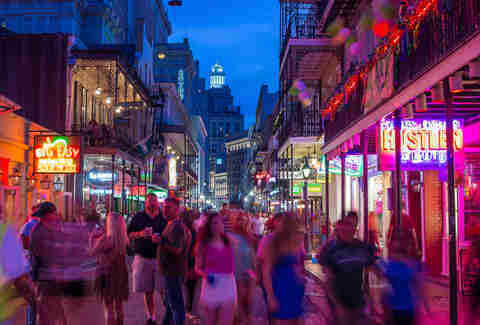 Why you should be one of them: Repeat after me: There is so much more to the Quarter than Bourbon Street debauchery. Just think of the live music on Frenchman, or the “how is this hole in the wall so damn good” restaurants. There is more excitement and culture in one block than most cities can boast in their entire limits. But above all, it has a charisma rooted in history that is impossible to fake. Why you should be one of them: How can anyone compile a list like this and not include the Great Canyon? It’s arguably the holiest of all natural formation tourist mecca holies, the great gouge in the earth that's spurred a million family road trips. It’s easy to see why it may feel like an overhyped destination, but once you actually make it there and take in the landscape with your own eyes, it’s suddenly not a surprise why seeing it is the top item on so many people’s bucket lists. It will blow your mind. Why you should be one of them: It’s true that catching an epic show by your favorite band can be a life changing experience. 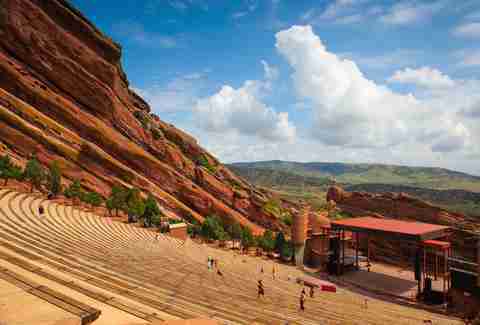 But if you ever happen to find yourself in or around Denver and craving live music, seeing a show at Red Rocks might be worth it for the venue alone. It’s almost sensory overload as music combines with stunning scenery. Apparently performers got the memo, too: Name a band you know and love and they’ve played here, whether it’s Jimi Hendrix or the Beatles or U2 or Fleetwood Mac or…(you get the point). It’s not surprising so many clamor to catch a set here once in their lives. Why you should be one of them: Say what you will about the relatively remote location of one of this country’s most recognized landmarks, and the almost Griswold-level family devotion required to make the road trip to see it. 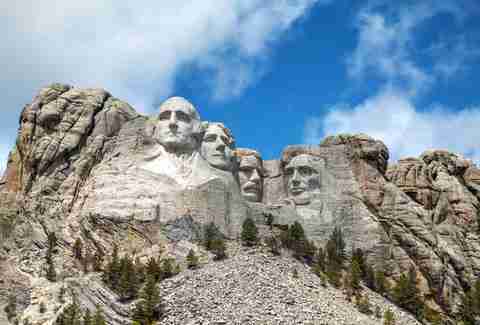 But like the Statue of Liberty, there’s something to be said about finding your way to the Dakotas for a glimpse of these giant presidential faces, where American spirit has turned a mountain into a monument. Going for the post-Rushmore optional visit to the Badlands makes it an even better experience. 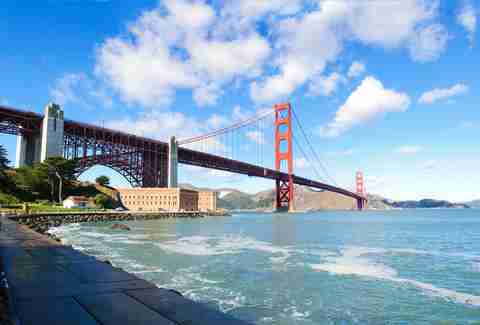 Why you should be one of them: The Presidio is as vital to the outdoor time of visitors as it is to Bay Area residents themselves. And why not? There’s forest, beach, park, and views of the Bay that never seem to get old. Besides, it’s still easily the best way to take in the Golden Gate Bridge (unless you’re able to pull off a Full House opening credits style helicopter view). Why you should be one of them: Maybe it’s the glowing blue water of Lake Mead against the burnt orange desert landscape. Or maybe it’s the sheer scope of the engineering it took to build something as tall and wide as the dam. 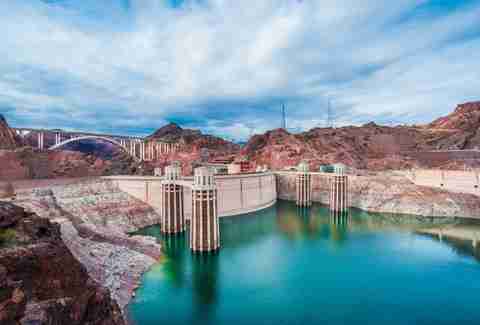 It definitely has something to do with the vertigo-inducing view from looking way down into the Colorado River while you straddle the Arizona/Nevada state line. Or… maybe it’s just a perfect way break up that Vegas trip with something that isn’t gambling or booze. Why you should be one of them: Check any list compiled of the most visited sites in America and almost half of them will be jammed with DC’s national monuments. 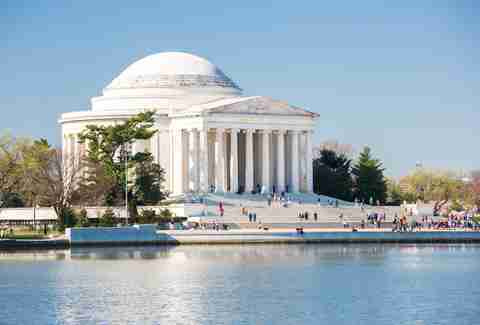 And while it’s hard to justify picking just one of them in a sea of giants, the Jefferson Memorial is the solid outlier of the bunch. Why? Consider it the “chill, laid-back” sibling of the presidential monument family, separated from the National Mall by the Tidal Basin and bordered on the south by a park and golf course. It’s a truly serene, beautiful spot in a city that is rarely known for being tame or peaceful. Why you should be one of them: Yes, we are aware that Coachella has turned the concept of hitting up the Southern California desert into a hyped millennial bucket-list experience. 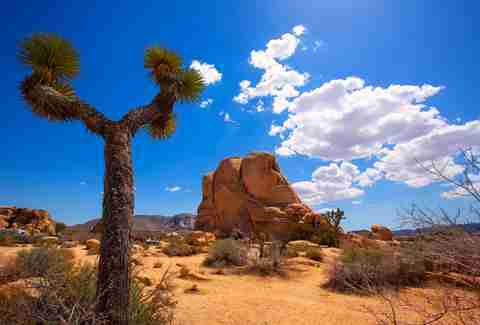 But a visit to Joshua Tree, which only became a state park in 1994, is probably the exact opposite experience of standing in a jam packed crowd of young people. Anyone looking for serenity, nature, or vision-quest-worthy surroundings and scenery will all find something to love. 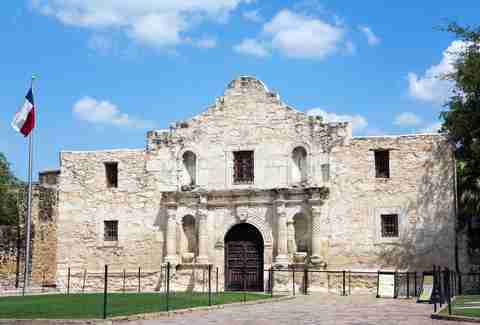 Why you should be one of them: What it lacks in basements (ha), it more than makes up for in bonafide historic significance, Texas pride, and plenty of nearby activities (including the Riverwalk). Even if you’re not visiting San Antonio directly, it’s such a short drive from Austin that it’s worth the trek. Zach Mack is a contributing Thrillist travel writer, the owner of Alphabet City Beer Co. in NYC, a newly minted Certified Cicerone, and absolutely nothing else. Follow him @zmack.